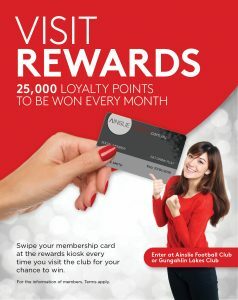 Note: Valid Australian Identification and payment will be required at the club prior to issuing your Membership Card. Senior Membership prices are available to those with a valid Seniors or Pensioner Concession Card. Please ensure you enter your email address correctly, as your completed application form will be sent to your inbox. Membership Points are accrued on your account and can be used for a variety of offerings. This includes the option to automatically renew an expiring membership using points to the value of your current membership. You agree to the Ainslie Group Membership Terms & Conditions. Alternatively download your required form below and return to any of the Ainslie Group Venues for processing. Ainslie Group © 2019 All rights reversed.